Dr Stanislav Secrieru, SPES fellow from Moldova, stayed at the IEP in the period from 1 to 31 March 2010. During this time Stanislav conducted many interviews with experts from think tanks as well as German officials, with very fruitful results. On top of that he gave a guest lecture for CIFE Master students on the same topic as his SPES research paper „Russia’s perception of the EU and its member states“, and participated in a workshop on Russia and the EU in the common neighbourhood, organized by the IEP. His research visit in Berlin complemented Stanislav’s findings from his trip to Brussels in October 2009, where he had the opportunity to interview EU officials, Russian diplomats as well as experts from Brussels based institutes. Moreover, he attended a conference on EU-Russia relations in the common neighbourhood, which was organized by the Centre for European Policy Studies and the European Council on Foreign Relations. Stanislav holds a PhD from the National School of Political Studies and Public Administration (Bucharest), having written his dissertation under the title: “Russia After Empire: Between Regional Power and Global Custodian.” Since 2008, he has been an associate researcher at the Centre for East-European and Asian Studies in Bucharest, where he has dealt with subjects such as Russian domestic and foreign policy, energy politics as well as issues concerning the region of North Caucasus. Prior to that, he was a research fellow at the NATO Defense College in Rome and a researcher at the Conflict Prevention Studies Centre in Bucharest. He also worked with the European Council on Foreign Relations in London on two research projects related to the EU-Russia relations. Apart from the already mentioned, his research interests include EU-Russia relations, European Neighbourhood Policy, the Eastern Partnership, the Black Sea Region as well as Sino-Russian relations. 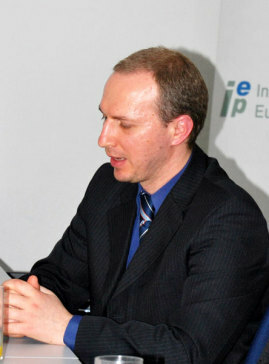 As a consequence of his broad interests, Stanislav has produced many publications in English and Romanian.